Ripple (XRP) is currently the second highest cryptocurrency in the market by market cap. In the past month, the price has gone up by +977% & people who have invested in XRP are making a great profit. Where should you store XRP? Read new article: Best Websites to buy XRP (Ripple from. Gate.io: The preferred exchange where you can get XRP using BTC, ETH, QTUM, and USDT. This is the cheapest way to get XRP. Buy some BTC and transfer it to Gate.io and then exchange it for XRP. CEX: If you want to buy XRP directly using your credit/debit card, this is the best solution as of now. Changelly: The fastest way for you to convert BTC or ETH or other cryptos to XRP. Something everyone is loving. Update: I have updated the list of XRP wallets and removed few wallets like Gatehub and one more as a lot of users have complained about losing their funds. At this moment (March 2019), below listed wallets are best we got to store XRP. I use the first one. In this guide, I will help you understand everything you need to start holding XRP. I have also shared some of the best XRP wallets in the market that are safe, secure, and trusted by other cryptocurrency enthusiasts like you. There are many places from where you can get XRP. The best way is to buy Bitcoin & exchange them for Ripple. Changelly is a popular website to exchange BTC (or other cryptocurrencies) for XRP. Personally, I’m a big fan of Changelly. Another method is to use an exchange like Binance & buy XRP using Bitcoin or USD. Other exchanges which support buying Ripple are Kraken, Coinone (Korean), Koinex (India), Bitso, and Coincheck. Once you have finalized the way you want to get XRP, the next thing to figure out is where to store them. Unlike Bitcoin wallets which are free, Ripple wallets require you to have 20XRP to book your wallet address. So if you add 1000 XRP to your Ripple wallet, 20XRP will be used to book the wallet address. This is one reason you don’t want to use multiple wallets for XRP (unless required). Pick the right wallet from day one so that you don’t end up losing 20XRP on various wallet addresses. 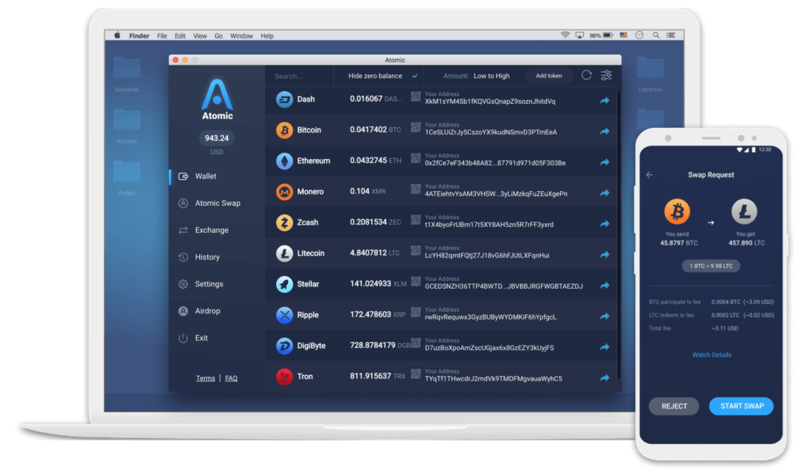 Do remember, there are various kinds of cryptocurrency wallets & you can Best Bitcoin Wallets. Ledger Nano S is a hardware wallet that has recently added support for XRP. Being a hardware wallet, it is one of the best ways to store your cryptocurrency as it offers great security, ease of use, and you can carry it with you anywhere. Dash, BTC, ETH/ETC, Stratis, Zcash, and now it supports XRP. Once you have it, you can check out our Ledger Nano S video library to learn how to start using the Ledger Nano S.
Atomic Wallet is a free non-custodial desktop application that supports XRP along with other 300+ cryptocurrencies. It’s noteworthy that Atomic enables users to not only manage their XRP, but also exchange XRP via a built-in exchange engine powered by Changelly and buy XRP for a bank card. These features are provided in a simple interface protected by a mnemonic seed. The seed is generated after the first launch of the application and requires you to store it safely. You fully control your funds, and your private keys become encrypted on your device and never leave it. Toast Wallet is a free open-source XRP wallet which anyone can use. The creators of this wallet say “simple enough for your grandma but safe enough for a Swiss banker”. The good thing about this wallet is that it is a non-hosted wallet where you are always in control of your private keys. As of now, Toast wallet is available on Android, iOS, Windows & Mac. Exarpy is another non-hosted Ripple wallet which is accessible from any web browser. 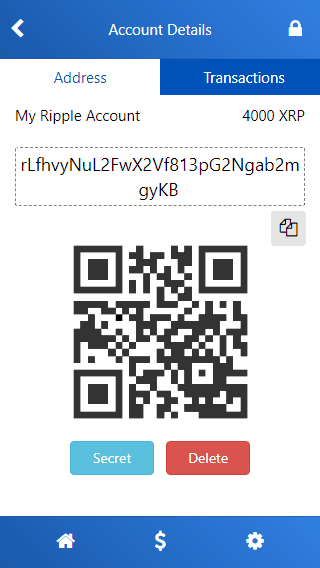 Using this wallet you can store/receive/send any amount of Ripple without any third party involvement. But this wallet is paid wallet and charges 0.025 XRP per transaction and this includes the Ripple network’s fee too. If you have any more questions regarding Exarpy then you can read their FAQ section here before getting started. Gate.io is not a typical XRP wallet but it’s a full-fledged exchange. They offer a mobile app that makes it easier for us to send/receive and also trade XRP coins from the mobile phone. They are one of the few high-quality exchanges that are currently accepting new registrations. Binance is a fast growing exchange that started in the mid of the 2017 year and is rapidly adopting many new cryptocurrencies for its users. If you want to get XRP right now, you can use Binance to get an XRP wallet. However, you should not store your XRP for more than 1-2 days on an exchange (any exchange) as exchanges can shut down or go into issues at any time and put you at risk of losing your stored coins. When I needed to get ahold of XRP urgently, I used Binance to convert my bitcoins into XRP & stored them in my Binance wallet. Another good thing while buying and storing your XRP from Binance is that you can claim your 50% discount on the trading fee when you exchange BTC or ETH to XRP. You can, later on, transfer these XRP to the Ledger Nano S (or any other hardware wallet that supports XRP). With time, I expect more popular wallets to integrate XRP & make it easier for us to store Ripple. However, for now, these are the top Ripple wallets that you can start using right away. If you are someone who is investing in cryptocurrencies, I would recommend you to just order Ledger Nano S hardware wallet which ensures that you remain in total control of all of your coins. Note: Binance & Gate both are exchanges that buy/sell XRP and have their inbuilt exchange wallet too. We don’t recommend you to hold your XRP in these inbuilt wallets for more than 1-2 days assuming you are lucky enough on those days. So use these exchanges as wallets for a long term at your own risk. Also, Toast Wallet and Exarpy wallets for Ripple are suggested by our community members and we have not used both of them yet but they look legit enough after a litmus test. Have a question about storing XRP? Let me know in the comments section below. Also, what’s your prediction for Ripple in the coming days? I have 488 xrp on binance, I intend to purchase more in the coming weeks, up to a thousand, what do you recommend? Ledger is delayed delivery until march 21st, I intend to hold my coins for the long term. Yes, that right but if you have a huge gain in cryptocurrency you should take a risk in Low market cap coins. Can we buy Ripple from USD on binance? No, the only crypto to crypto purchases is allowed. I agree with you – will spread to some of those coins like TRX KMD and NEO, however I still need a wallet for my XRP – there is no ledger until march and people have had their ripple stolen from coinpayments. From Binance it’s tough to withdraw your ripple or any currency if you are not Chinese… it’s tough…you need Chinese phone number for 2FA.. So be careful and get proper information on how to withdraw from binnance. In your article you said not to store XRP on an exchange for more than a day or two but you also said you can buy XRP on Binance and store them in their wallet. Is their wallet different than their exchange? No, they have their inbuilt exchange wallet only. And as a general rule don’t keep in exchange wallets for too long if you have significant amounts!! Ok, So if i open an account on Gate.io. That one works both as an exchange and Wallet ? Did I understand that correctly. ? Gate.io has a wallet but it exchange’s wallet that doesn’t give your private keys. So if you are having significant amount then store it on Ledger Nano S.
I create a wallet on “exarpy.com” but I haven’t buy ripple with this account because I don’t trust this account .please help me . When you don’t trust why are you wasting time. Register on Binance and buy it from there in exchange of BTC. binance is not allowing new users…any other options available? Yes Binance accepts new users everyday. There is a small window each day where they accept new users. I want to to buy Ripple for investment gain. I have looked at Iq options, and cinsidering buying from there. But I dont understand the wallet consept? do i need wallet if I am buying from IQ option, and wich wallet should I use? 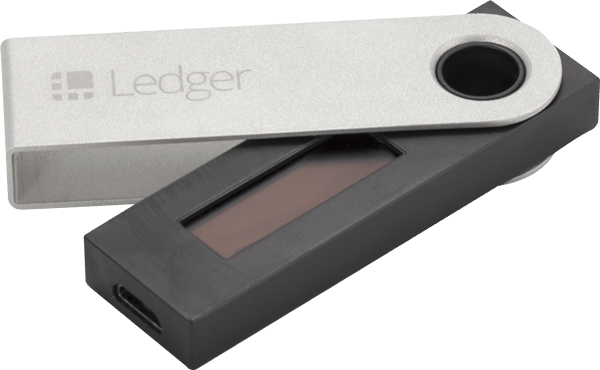 Ledger Nano S is the safest you can get at a minimal cost. I have some XRP in a paper wallet but now have a Ledger Nano. How can I transfer my ripple from the paper wallet to my Ledger without high fees of 20 xrp which add up to about $40 usd. Great article. Thx. I am using toast wallet for storing ripple.is toast wallet safe? thanks for your investement. I appreciate your work! As of now Ledger is sold out as a wallet until end of March. Should I wait and then buy it from the official site? Ebay sells it for twice the price, would you still recomment to buy it then there for now? If not can you recommend another wallet for storing XRP? You can use this wallet until then exarpy.com. I have not used it but recommended by a community member Akhbar, in the comments above. Any idea what is wrong? and what should I do get my Identity document verified to start using Gatehub wallet? Please help with your instructions on this. I have my XRP’s in a Ripple wallet on my laptop. Can I access that wallet from another one of my laptops? My concern is what happens if my laptop crashes for some reason? You must have saved your seed keys or private keys of Ripple. That will help you access Ripple in case your wallet crashes. Thank you. I have them just in case. But I guess the answer is the wallet can only be accessed from the laptop where it was installed. Correct? As long as you have the seed or private key you can restore your wallet anywhere you want and that too any number of times. 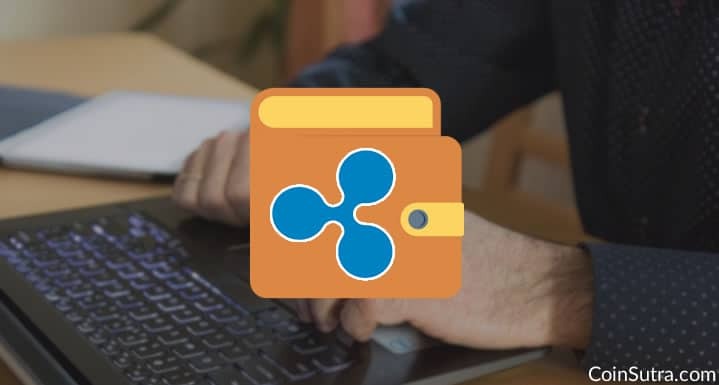 Sir what laptop wallet do you recommend to store ripple. Please assist as i have a few that i would like to save and ledger is not available. Some wallets are listed above and few are suggested in the comments by our dear community members, though we have not used them yet. any offline wallet for XRP like Jaxx. I am hesitant to put my XRP in3rd party online wallets for longterm storage and i dont want to invest in a hardware wallet yet. what in your opinion should work ? Some wallets are suggested by community members, you can read in the comments above but we have not tested them yet! would that suffice , is the above correct ? I’m confused about which crypto wallet to use. Binance or Gate.io? Which can I buy and store in the same app? Would be much happier if you reply me. Nano hardware wallet is good if we become a big investor gradually, bur for Indian starters it is too costly. Which desktop and which online/app wallet do you suggest for small investors to use to keep BTC XPR ETH safeky? I am from India, I want to enter the world of cryptocurrency and would like to buy XRP. Is Gateio the best place to buy for a person in India? and is ledger nano s the best wallet to store the coins too? until we get that ledger, where to store the coins? Appreciate your help! > You keep order Ledger Nano S and once its delivered, you can then transfer coins from the exchange to Nano S.
We have a video coming up today on CoinSutra YouTube channel on how to setup Ripple wallet on ledger Nano S. You can join us here. If a ripple wallet costs 20XRP,and i want to prevent to much wallets,is it possible to send the ripples direct to my Ledger Nano ?? Now on Gatehub,but verifications are pending 5 weeks…so i don’t want to use this Ripple wallet but i want to send it direct from liteb.eu to my Nano Ledger. Is this allowed or not ? Hey, you didn’t mention about Fiat currency, If one wants to buy Ripple with Fiat currency so, what are the possible ways available? You can get it from Cex.io. …and EUR, CAN, & JPY. I’m concerned about a hardware wallet. What happens if the hardware fails? You can restore to a new wallet using seed key. Already started using gatehub wallet for my xrp based on previous posts I have read. Guess it will have to do. But I do have a Ledger Nano S coming in a couple of months for other cryptos. My question is: what is the best way to turn my xrp that is in my gatehub wallet into the most USD possible? Bitfinex is good for that. I did not understand why one should not hold for more than 2 days when we buy it from a trusted crypto exchange like coindelta/koinex ? Why wallets are so necessary ? Because when you store any coin on any centralized exchange you don’t control your funds as these exchanges don’t give your private keys. The link you provided says only about bitcoin. 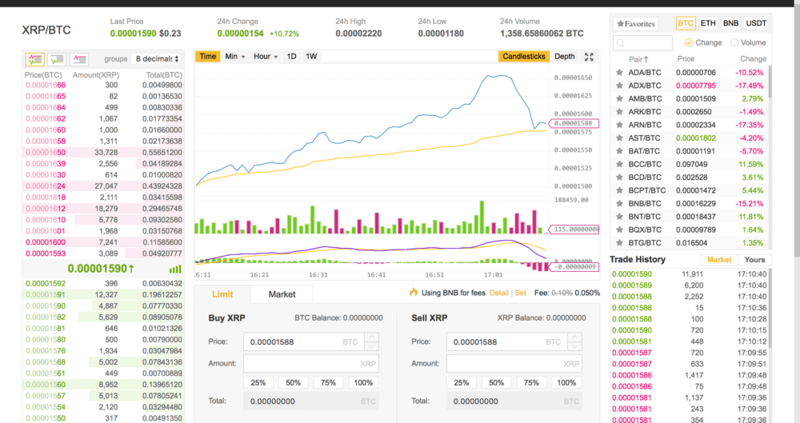 What about ripples bought through Coindelta/Koinex ? No one can help once 12-word back-up phrase is lost. I can move USD$ from my US bank account, purchase XRP, move it to my Ledger… then when I want to sell it, move it back to my Kraken account to sell it, then wire the $USD back to my bank account? Is that correct? Does Gate.io or other platforms/exchanges do the same ? Yes, that’s correct and Gate also allows USD. Thanks for the post. I went ahead and bought a Ledger Nano S. Just got notification that it shipped early today. I was initially told it wouldn’t be shipped until late March. Do you think it will ever support Tezzies? I assume a firmware update is needed for that? How can we be certain that the update is safe? Couldn’t someone hack Ledger Shop, issue a malicious update and steal everyone’s tokens? Or, an insider could do it. Just trying to think of every possible worst scenario. Is there any transaction fee, if we transfer our crypto coins to ledger wallet. If yes, then How much it cost me total if I I transfer 100 XRP to Ledger wallet. I have a account with koinex if and I transfer 100 XRP from there to ledger wallet they charge a transaction fee. Similarly if I transfer ripple from Ledger wallet to koinex wallet again to sell. Will it cost again ? I understand a fee of 20 XRP exists for the creation of a paper wallet or a Ledger Nano S wallet. Is that a ONE TIME fee or does it occur every time an XRP purchase is moved to that same wallet? Finally, is there also another 20 XRP fee when the coins are then moved FROM the paper wallet or the Nano and BACK to an exchange? Thanks in advance! After further reading, I understand that it is a ONE TIME fee imposed by Ripple. It is applied to the initialization of every Ripple wallet. Hence, create one and use it for all XRP holdings. Correct? 20 XRP per address initialization, so yes in both Ledger and paper wallet also. I really would appreciate help. 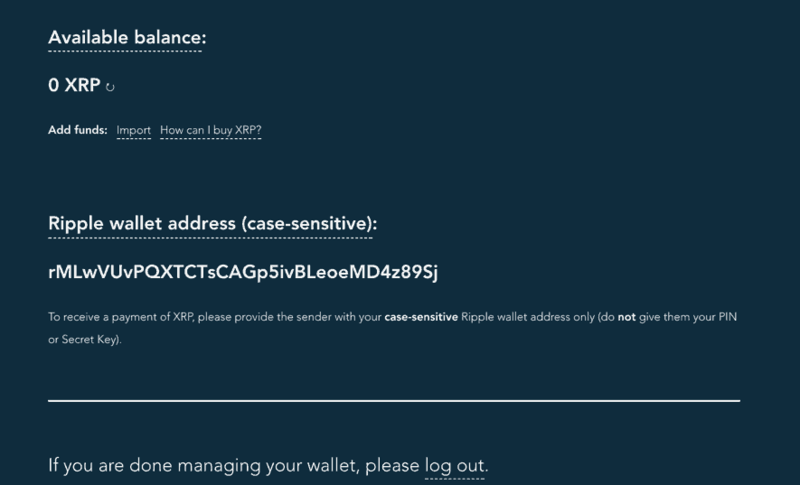 I have about 850 units of XRP on Ripple wallet version 0.7.0 and when enter my secret seed, the address it generates is not recognized by their system. It was previously. I have checked my balance on this wallet many times before and all the coins were there. No their system says the account number is invalid. Where do I go for customer support for this wallet? I cannot find any kind of support on their site. Doesn’t looks like a legit wallet. Can you give the wallet link from where you picked it up. I struggled through the firmware upgrade and when it was through processing it asked me for my reconfiguration phrase. I have my list of 24 words, it asked for 12 of them. I put them in and it responded that they were invalid. That’s ridiculous! Now what do I do? Thank you for your information. I am interested in buying, selling in short term. Do any of these wallets hold USD. No, it doesn’t. 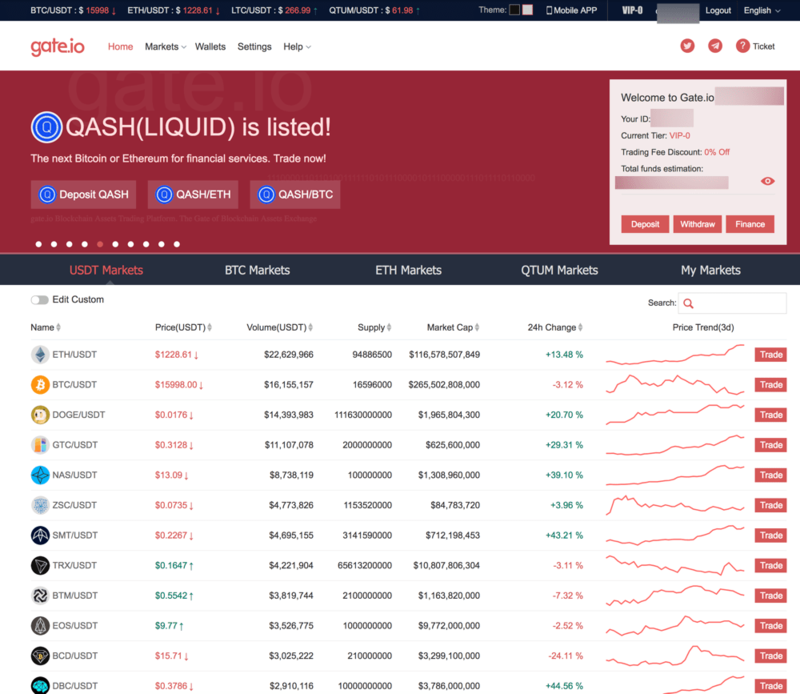 You can hold USD on exchanges only like CEX.io etc to buy/sell XRP. can i buy any of the cryptocurrency by paypal??? Hi Harsh, loved your article. would you be able to review application https://play.google.com/store/apps/details?id=au.com.mxsl.bitrockwallet ? It seems to be new and looks pretty good UI wise. Sure, we will take that in account. I have Ripple in a wallet and want to transfer it to Binance but Binance says I need a tag and address. The wallet I have only asks for Ripple address and amount. Would I still get it in Binance without a tag? Hello, would you please consider adding Edge Wallet to this list of XRP wallets. We’re a well respected company and team that’s been in crypto since 2014. Originally as Airbitz for bitcoin only, and now as Edge with a multicurrency wallet option. We are looking into it and might list you in another article soon. Yes, you can buy in USD from CEX. any leverage trading site for Ripple trading?